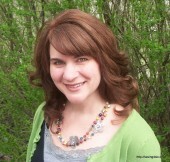 I’ve been super busy around the house with what I consider to be spring cleaning. I use the phrase “spring cleaning” lightly, since at the moment we are being dumped on with snow. Anyway, while the weather is still not the greatest, I’m purging, cleaning, and organizing EVERY room of my house. 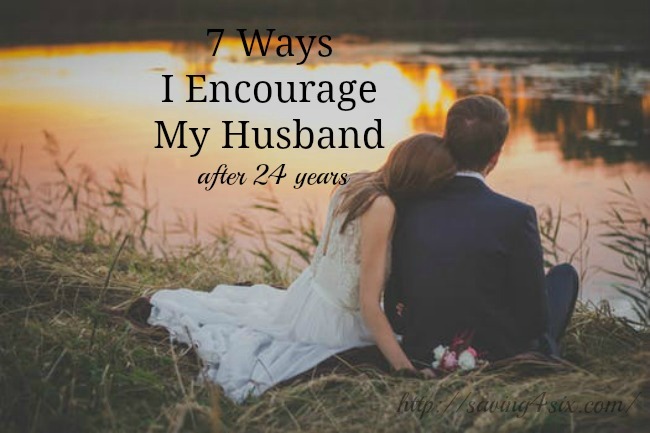 Almost every day, my Better Half comes home to several garbage bags of stuff to be donated, or pitched sitting by the door for him to deliver to their next home. Progress is such an AMAZING feeling. We are in the process of creating a pantry in our kitchen and so I’m going through my cabinets, reorganizing, clearing out what I don’t use anymore, and looking for ways to make things work better. 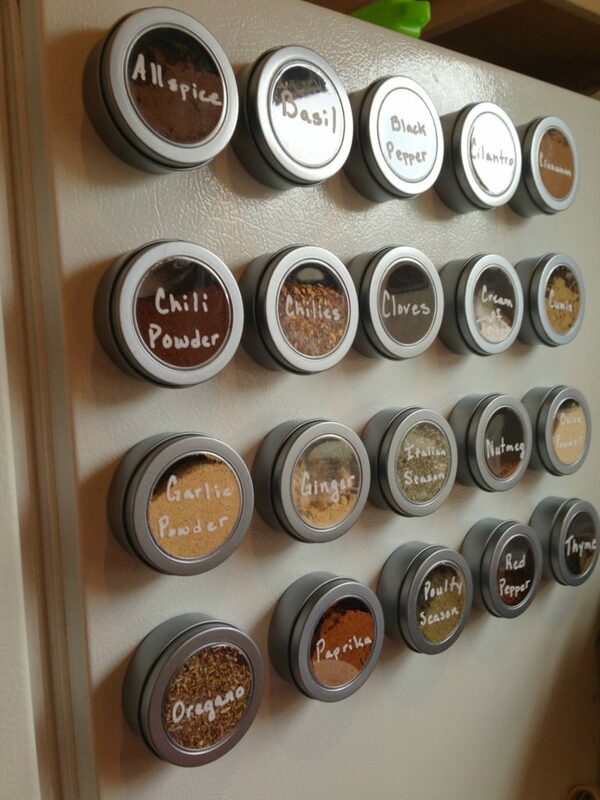 For quite some time now, I’ve been eyeing the magnetic spice containers they sell at my favorite store, World Market. Have you been there? It’s so fun! They are two dollars per container at World Market and I know I would need a bunch of containers for all my spices so I have put off buying them. 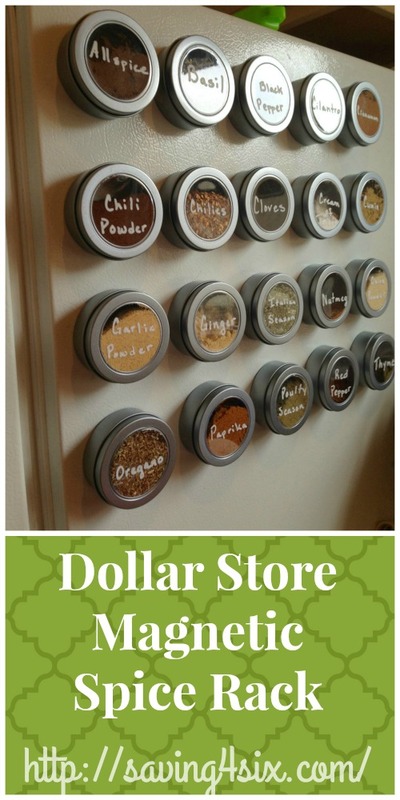 The other night, I was at the Dollar Tree with My Better Half…it’s one of those big Dollar Trees that have a refrigerator and freezer section and has all sorts of inexpensive goodies… ANYWAY, I came across these magnetic containers in two packs for $1! Now at that price, I decided these would be a great addition to my kitchen reorganizing. These come with pretty strong magnets on the back and stick very well to the refrigerator. 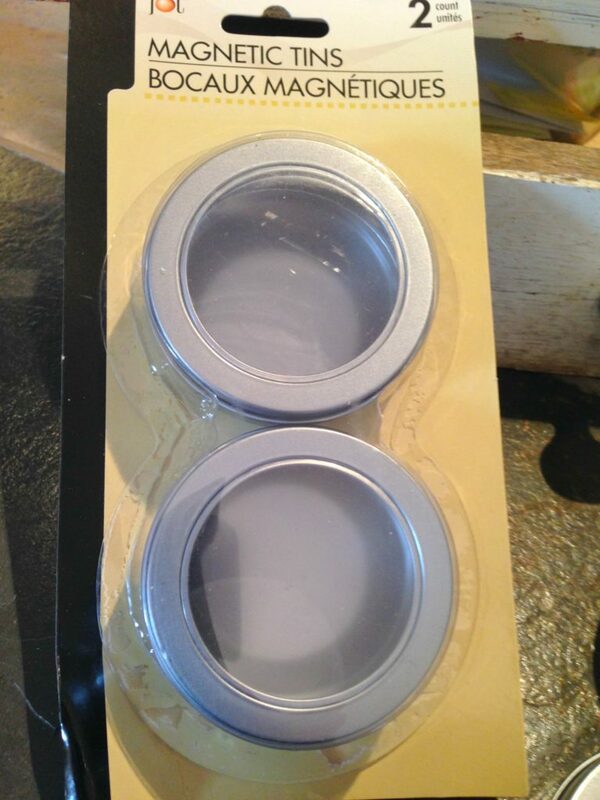 Just a word of caution though, if you decide to use these, you may need to bend the lids a little bit to make a tighter fit. They are easy to bend with just your own strength. Now most of my spices fit in these containers but the ones that I have some still left in the bottle, I’m storing out of sight, downstairs in the pantry. My spices are just a reach away. I can grab what I want and pop it right back on to the refrigerator. I love the accessibility and the neat look. Now I don’t have all the different shape and size bottles cluttering my cabinets, which definitely makes for a more organized look. The best thing is that it was really inexpensive too!! What a wonderful Idea! We will be living in a camper soon and this would be a great space saver! I also like the idea of maybe putting a piece of metal in the inside of my cabinet so I can put them there. Thank you so much for the post and idea! Sorry that link will not work. LOL! I hit the post button too quick. Cute! You see what you have left of each, plus you gain the cupboard space the old containers were using. 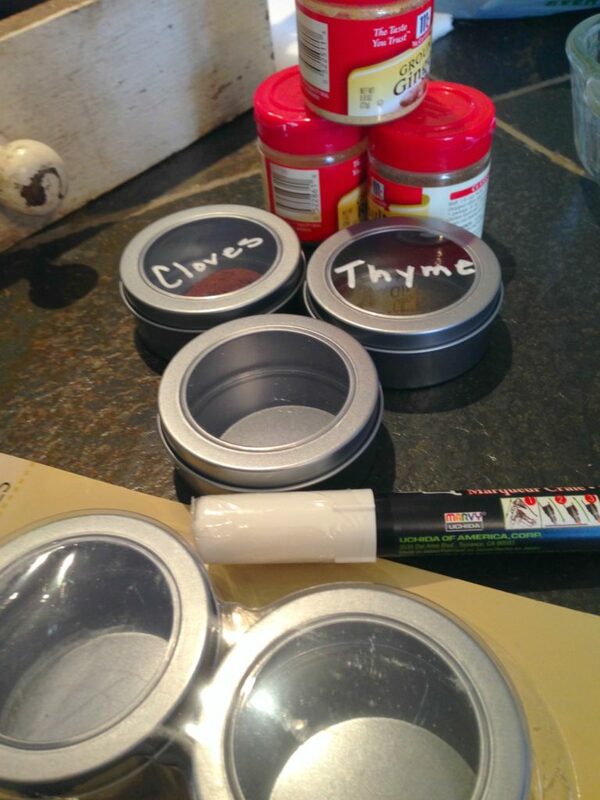 I love this idea and can think of so many ways to use these small magnetic containers. My only caution would be in using these for “food” items because various types of metal can leach into whatever it touches.